Newspapers across the country on Friday reported about what appears to be Helsinki's second vehicular attack on pedestrians in as many weeks. Papers also reported on reactions to next week's announced nationwide rail strike - and it appears that summer's biggest storm is headed towards Finland. 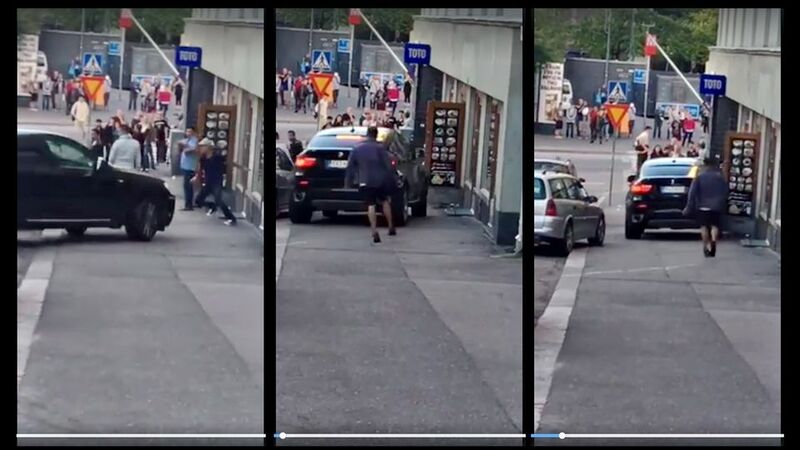 News about a driver allegedly attempting to run down a group of people in Helsinki began making headlines on newspaper sites on Thursday evening. According to police, the driver of a black BMW tried to run down people on a sidewalk in the Kallio neighbourhood following a street fight on Thursday evening. 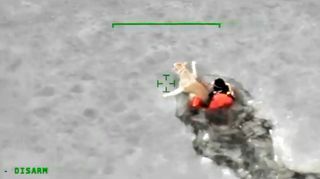 One person was slightly injured in the incident. Many papers covered the close-call, including Helsingin Sanomat, evening tabloids Ilta-Sanomat, Iltalehti and others. Police said they received a call about the incident at 8:20 pm, after which three men in their thirties were apprehended. The case is being investigated as aggravated assault, police told the media, including Ilta-Sanomat (which also posted amateur video of the event). Thursday's car assault was the city's second similar incident in nearly as many weeks. Two weeks ago, on July 28, a 51-year-old man allegedly drove his car into several pedestrians in central Helsinki. One woman died and five others were injured. Police suspect that man of manslaughter, attempted manslaughter, drink driving and aggravated traffic endangerment. On Thursday Finland's state-run railroad monopoly VR announced that a train drivers' strike will bring the nation's rail system to a standstill for more than a day next week. The action is scheduled to begin on Monday evening and continue until the end of Tuesday. The strike will stop all passenger local and long distance - as well as all cargo transport - rail traffic for the duration of the action. Only trains running from Helsinki to Russia will operate normally. The drivers are protesting newly-announced plans from the Ministry of Transportation which would break up the state railroad monopoly and allow private firms to enter the passenger train business. According to Iltalehti, Transport Minister Anne Berner said in a released statement that it is "regrettable" the train drivers' demonstration would cause problems for passengers and people's routines. According to Swedish-language daily Hufvudstadsbladet, the chair of VR's group management board Ville Tavio (who's also member of the opposition Finns Party) reacted to news of the drivers' strike by saying that he understands the public's concern. He criticised Prime Minister Juha Sipilä's administration, saying that the Transport Ministry's decision to allow the dissolution of the state monopoly would raise profits for private firms that do not treat their employees well. "I am in favour of free and even competition, but I cannot approve the destruction of national property," Tavio said in a statement, according to the paper. Others were more optimistic about the privatisation plans Berner announced on Wednesday, however. According to Finnish business paper Kauppalehti the relatively-new discount bus firm Onnibus has announced its interest in renting rail equipment in order to get into the passenger train business. Onnibus CEO Lauri Helke was quoted saying that Finland has suffered from VR's monopoly and that there is potential for growth in the market by introducing new service providers, according to the paper. Freight firm Fenniarail has also voiced interest in getting into the passenger train business, the paper writes. News outlets everywhere were abuzz about a major thunderstorm system which is currently charging over the Nordics and expected to reach Finland on Saturday afternoon and evening. A powerful thunder and lightning storm will arrive to southern and eastern areas beginning late Saturday afternoon. According to meteorologists the stormy weather may continue on Sunday in eastern areas, and weather will be unstable across the entire country that day. Can Finland's cool weather be a future tourist draw?